It seems that whenever the economy has had a good run (1920s, 1960s, 1990s) and subsequently crashed (1930s, 1970s, 2000s), some will decide to “head back to the land”. Perhaps this is due to realizing that the economy doesn’t have anything further to offer. Perhaps being self-sufficient seems like a more secure prospect than trying to get someone else to create a job for you. Perhaps it is the only time when publishers think they might be able to move books that call for a simpler lifestyle. Or perhaps the desire to head back to the land is conditioned on having enjoyed a decade of spending increasing amounts of money on stuff and having found that the joy of buying things is somewhat empty. If the latter is the case, perhaps a good first step towards frugality is to spend a few years consuming as much as you can so as to get it out of your system so you can focus on something more interesting—I know it worked for me. Observing this cyclical behavior is like having the Matrix rebuilt over and over and it leaves me with a feeling of futility—am I just a cog in an even bigger meta-machine. It seems that these ideas need to be rediscovered over and over. I recently finished reading Borsodi’s(*) “This Ugly Civilization” (from the 1920s) and I reread Callenbach’s “Living Poor With Style” (from the 1970s). I discovered both of these AFTER starting the blog; in the case of the former after publishing the ERE book and in the case of the latter after writing most of it. If you are the kind of person who feels more convinced by having multiple people say the same thing than you are by rational argument, consider those two books my references. You may have some difficultly in obtaining them. I don’t know if it is surprising that such books are hard to come by. (*) Much thanks to Surio for bringing Borsodi to my attention. It suggests to me that ERE is not going to transform the world from some kind of consumer capitalism to ecological capitalism. It also means that I can stop worrying about changing the world so much. In particular, it means that those who worry about “what would happen if everybody did it” got nothing to worry about. Instead, they can start sending concerned letters to their local cosmetology school worrying about what would happen if everybody became hairdressers. If ERE is not about cultural change, it’s really just about financial independence. Specifically, it’s about finding that suckerperson who is passionate about his job and then saving enough to buy the part of the company that employs him. By my calculations, roughly $300,000 in investments (market value) corresponds to $70,000 in (company) revenue out of which $40,000 will be paid in wages (administration) to some employe, leaving maybe $20,000 in earnings (a P/E of 15) and you’ll get your, say, $9,000 in dividends which is more than enough to live a good life if you have the skills—though probably not enough if your skills in the kitchen can be described as “microwave chef” and this level of self-sufficiency or lack thereof carries onto the rest of your life. (Don’t despair, a self-sufficiency is not that hard to learn; it’s just that it’s been completely neglected in the institutional circus that passes for education these days.) Alternatively, for the person who loves to sleep in no less than 5 bedrooms, just lend him your $300,000 to buy his mansion and in return he’ll work hard to pay you back with interest. Of course, this is a generalization… diversification would have you own little parts of lots of different jobs and houses and so you will have people who are passionate about their work working for you because you own their jobs while you go do something that you’re passionate about which in contrast does not need to be a job. Chains only become frustrating if they prevent you from going somewhere you want to go, but if you’re just fine where you are and never test the limit of your freedom (one of which is having to show up at a certain place and perform certain work on a certain place 5 days of the week for all but two weeks per year) you might never even realize they’re there. This is much different than the Roman era when some part of the population were slaves. Slaves were owned by other people. However, we have financialized slavery or work, that is, we have turned it into a financial product, called a job, which can be bought and sold by investors and filled and changed by workers through a process known as writing resumes and interviewing. We have also pretty much eliminated any conditions on who can buy and sell jobs—not quite so on who can hold them which means, somewhat ironically, that having a job is considered quite a privilege these days. In this terminology, ERE is essentially saving enough money to live as a free(*) person—someone who is not a rent-worker or a mortgage-worker, that is, someone who does not need to do slavery. With ERE you buy your freedom—one person worth of freedom. You have to do this because nobody is born free anymore. You can’t just stake out a piece of land and go live there. You can’t just go into the woods and start hunting. All land has been filled up with property that is owned by someone else. All people are now born in debt and so you have to earn your way out. (*) Freedom is a term that’s loosely thrown these days, mostly for political gains. Few people wants the burden of freedom. It’s much easier to do what’s expected and just follow orders. Conformity makes for smooth living. It is interesting that we have, over the past 2000 years, gone from working in order to live to living in order to work. That’s a huge mental transformation. The Ancient Greeks would think it outright crazy to think of work as something desirable to do. Back then, work, doing labor and learning and practicing technical professions was considered only fit for slavery. It was something you’d preferably not do. Instead time was considered better spent on the seven arts. It is sad to me how few philosophers are left. Philosophy has turned into an academic discipline of deconstruction and professors reviewing each others reviews with scarcely an original thought. But I bet they use lots of citations. The world of Borsodi and perhaps now ERE is a far cry from the mental images most people use today to order their understanding of the world. In true Taylorism, we have been brought up to think of education and work and careers as practically the sole meaning of life. We feel an implied responsibility to live up to our programming. We’ve been stuck in the cave (read chapter 1 of the ERE book for free on amazon to see what I mean by the cave) for so long that we may have a bit of Stockholm Syndrome going on. Also, there’s the fear of the unknown and the pervasive feeling of contributing to “progress” which leads us to believe that our society is the pinnacle of civilization even as the idea of progress is only a couple of hundred years old. Essential factories that produce things that would hard/a lot of work to make yourself. For example, sheet metal, electric wire, lumber, … He doesn’t mention cell phones and computers but I think these would fall under this as well. Non-essential factories that produce things that a semi-skilled person could make equally well or better himself. For example, many tools, furniture, canned tomatoes, bicycles, vehicles, clothes. One of the tenets of ERE is to avoid buying products from the second and third category of companies, industries, or factories and make them yourself or not at all. Where personal skill is insufficient the work can be done by craftsmen. This is an altogether more meaningful, personalized, and beautiful form of production compared to the plasticky mass produced items which are designed to quickly disintegrate to keep business going. Many neophytes think that making things yourself means that ERE translates into the hard labor of working full time to make everything yourself instead of going to work to earn money and then buying the stuff at the mall. This is not true for the sole reason that earning, buying, throwing out, and replacing is replaced with a pattern of making yourself and maintaining which in general is much less work than the former. For example, I made a tool box for myself out of scrap wood instead of buying a plastic model from a home improvement box store. Already I have modified it to hold my chisels and my coping saw for easier access by fashioning some wood blocks to hold them and gluing them in place. Try that with a bought solution. Now invest the money you don’t spend in the first kind of factory, or if you’re not too picky, in all three kinds, and use that to pay for the things that make no sense to try to make for yourself. Once your investment income surpasses your expenses, you move from the worker-class to the investor- or land-owner class and you become financially free or independent. You bought your freedom from the system. You can now retire or spend your life on pursuits you find more meaningful to you whatever that may be. 30 users responded in " Borsodi, industrial slavery, and rebooting the Matrix "
How about HD Thoreau’s Walden, or Life in the Woods? Seems to me to be a pretty early hippie, although it’s been ages since I’ve read it. All very good points you make. Now I have to go back and re-write my post because you’ve managed to say some of the exact things I did! :-P! Aaaagh.. Maddening. Now, in my case it was the opposite, for I discovered your site *after* my reading Borsodi and YMOYL. :-D! It worked so well for me too. In fact, I have to thank my mother for pointing this insight to me. Oh, and thanks for linking one of my favourite posts (“stop worrying and ‘love the end of the world'”) on this very good post More later. @Surio – I understand that the Nearing’s were connected to Borsodi. Also that he was published recently in India but not in the US since forever. I’d never heard of him until you mentioned him. I find it kinda depressing that he was saying all these things in the 1920s and that nothing has changed in the 90 years that followed. He was published recently in India 😮 ? It *is* news for me too! I assumed he wasn’t published forever too! I had read his older book. Yeah. I too get equally depressed about present state of affairs and human colossal stupidity in continuing to drink kool-aid! Also, you may have heard of Chico Mendes? He actually came over to India to help fight against some of our lop-sided policies and was very successful. Then him and his boss get killed by cattle ranchers! And the less I speak about Modern “India Inc.” and its “policies” that less depressing it is. But, we really seem to have a major uphill struggle trying to make people understand this, Jacob! My point about Illich, Borsodi, Mendes, Tolstoy…. also someone like Howard Zinn as well… is to bemoan the same point you make! Where are all the philosophers gone? BTW – The Wikipedia page for borsodi has some links to his stuff, if anyone wanted to read. Since when are cell phones and computers part of essentials? Certainly I wouldn’t do without them, but since cell phones now are suspected to cause cancer they’re probably in the “evil” category. @Geek – I was thinking about that when I found it hard to find the book in ‘the usual places’. I know a few publishers who do that. I don’t really know anything about that part of the process—securing copyrights, etc. @Jacob – it could be in the public domain (not due to the author’s life+70 years, but due to the laws of the 20s). It’s unclear whether or not this is the case since I don’t know about copyright renewal. Pretty much everything published in the ’20s is public domain. The ’30s is when “copyright forever” begins to take enforcement, based on whether the copyright was renewed once and that requires the research. I kind of love you. 🙂 Just kidding, but this was a good post! Lots of interesting out of print books available for free here at Soil And Health Library (http://www.soilandhealth.org/index.html). 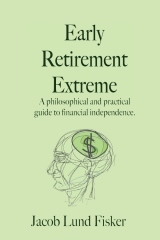 With a section on small-scale entrepreneuring, financial independence, frugality, and voluntary simplicity including Borsodi. @EMJ – Excellent. I changed the link for TUC above. Everybody ought to read it. Here’s a recent dissertation from the University of Strathclyde. It considers how WW2 propaganda messages regarding austerity have been re-purposed recently in the mainstream (UK newsprint mainly) media with relation to contemporary crises. It concludes, with this unsurprising (well, to some of us at least) observation that promoting the fad of austerity is largely used to introduce new items for consumption – simple living books, fashionable (and expensive) recycled furniture, new tools etc. Check it out for the images at least. I too do my bit and warn readers about this insidious practice in the final part of my “trade tirade” about consumerism being disguised as conscientious. P.S: Do you think this link could be added as part of the post itself? Just a thought. A young person who learns this lesson is very fortunate. I encourage you not to be discouraged, Jacob, concerning what ERE accomplishes. I see that even ideologically societies can be quite cyclical in nature, but it would have been difficult in any era, I think, for you to truly convert anyone. This is simply because they already have to have desires along these lines already and willing to work hard to go against the status quo. That takes more than words, no matter how strong an argument may be, to inspire. It is something someone already wants I think. What this blog and the forums does do however is provide collaboration, support, and idea sharing to those who do care to ER or ERE. It has made a big difference to me. I already cared about trying to live a more self sufficient life before I found this blog, but the ideas here are valuable. I like most readers am going about it my own way, but the great thing is that these ideas are tremendously useful in a general way. The blog and forums are like a tool box of ideas. They add to one’s tool set for building their own ER. Sharing of ideas within the choir is synergistic in effect for those who want to utilize it. Just saying, what you have done here has made a difference to those who care to make this difference in their own lives. Thoreau’s neighbors noted how he walked home to his mother’s for lunch every day during his stay at Walden Pond. At least he had access to some unclaimed land. Ah, the advantages of a smaller population! I think there is another option for acquiring things outside of the three factories mentioned above. If you buy quality used items at good prices (although oftentimes higher than the prices of new lower quality items) from Craigslist, such as wooden furniture, rugs, bicycles, they can be quite useful and beautiful, but retain their value in a way that cheaper new items from Home Depot or Walmart do not. They don’t generate dividends or interest (except in the enjoyment derived from them), but it is easy to sell them for what you have into them. I know this because I recently moved from Hawaii to the mainland – all the “nice” things I bought on CL I sold for basically the same amount, maybe a little less, just to make a quick sale. So I was able to learn surfing and stand up surfing, sit in a beautiful couch, etc, essentially for free. All of the items were purchased for less than 50% of retail price.The key is to buy highly regarded “name” items and take good care of them. I had to have a car (shared by three person family), so I bought a used lexus, and was able to sell the car three years later for $3000 less than I paid for it, and did very little to the car beyond oil changes and gas. The depreciation was about $1000/year, which is really not too bad considering. I guess what I’m saying is you can have the equivalent of a 2 br apartment full of nice things, a car, and high end sporting goods for maybe 20 thousand dollars. If you need to, you can sell everything for 85% of this. The 3% return you would be foregoing would be 600/year. In my mind, this is a very reasonable middle ground to stake out – having nice things but without going broke to get them. The key is to avoid paying retail or even wholesale, pay person to person price w/o sales tax. @Andrew – I’ve done a lot of this. It’s described in the ERE book as well. One can most likely find older books at the local library- that’s where I found those above. The library is a great resource. Re: “You can’t just stake out a piece of land and go live there” I agree that’s the central problem. When the British went into India, Africa and other nations during the empire times, the first thing they would do was to build roads everywhere they could. Local cultures that previously lived off the land for generations could then have taxes imposed upon them. And then a requirement to pay the taxes in the conquering nations currency gradually roped those people into having to join “the system” even if they were previously self sufficient. Fast forward to present day Japan where we live. Massive depopulation, particularly in the rural regions, followed by a collapse in real estate prices of over 80% over the last 20 years has allowed us to buy a house and 400 square meters of land in Yamagata for under half a million yen (Around 4000 USD). This must be about as close as you can get to free. Cheaper than India free. The yearly tax is about 13,000 yen year. So soon we are moving out of Tokyo. Thanks for sharing your ideas Jacob. Becoming financially independent is truly a freedom experience! – We will be kind enough to offer you a job. – We will produce all the products and services you use. – We will produce the messaging and social pressure to make you want more of it. …oh, and we will only pay a fraction of the taxes you pay, if that. * Unless we decide you are redundant or discard you because you are inconvenient. I’m not sure if a job is called slavery – unlike REAL slaves, you can quit your job tomorrow and nobody will stop you. Also, in my job, if I’m injured at work, my company will happily pay me to lie in my bed and cover all medical costs. If a Roman slave was injured, he’d normally be dumped into the forest to die (too expensive to maintain injured slaves). Let’s not get too carried away with comparisons, like pundits who call every second politician “Hitler”.